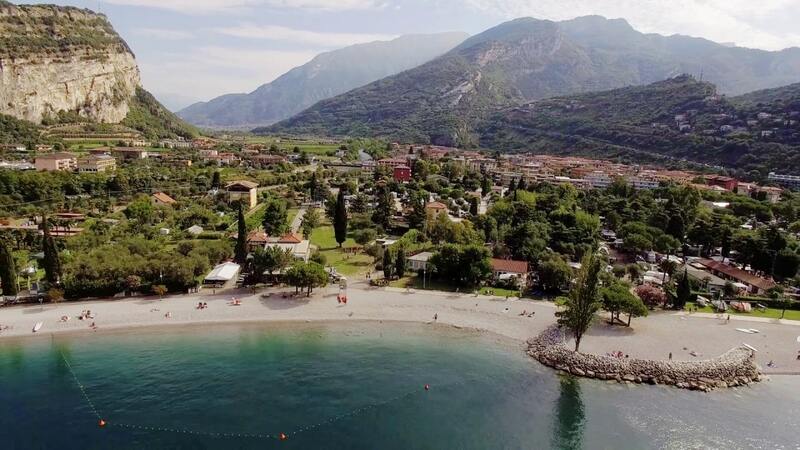 Welcome to Camperstop Torbole, with direct access to the most beautiful beach of Torbole, famous all over Europe, the Camperstop Torbole is ideal for those who want to practice water sports such as surfing, sailing, diving and of course swimming. There are also many hiking trails for those who prefer hiking and mountain biking. Also lovers of climbing can stay close to the lake and go climbing in the nearby mountains, there are walls equipped for all levels. The sport is not everything in life, you will find many restaurants serving local and international specialties as well as bars and pubs for nightlife. The area has 120 pitches with electricity, water and sewage systems but in addition to being equipped for the stay you will find new bathroom fixtures: showers, toilets, wash basins, hairdryers, washing machines and dryers. A market where every day you can buy fresh products and packaged near your Camper. For the young there is a ping pong table and table football. In the immediate vicinity there is mini golf, beach volleyball and the Busatte adventure park . (Camperstop Torbole campings booking).